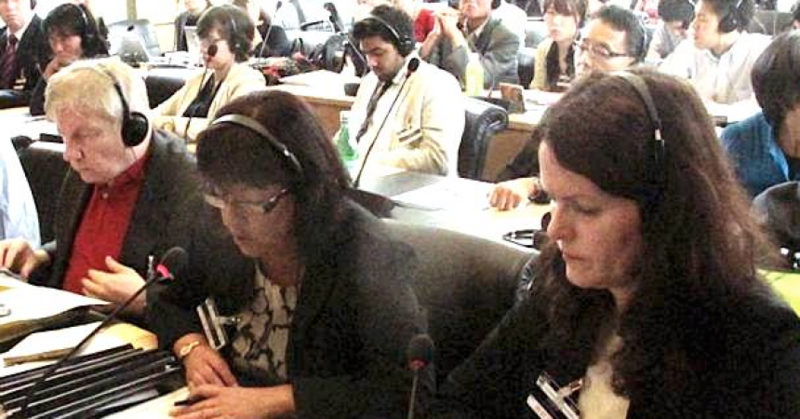 Last month Ireland appeared before the UN Human Rights Committee in Geneva under the International Covenant on Civil & Political Rights (ICCPR). Every five years the UN questions Ireland in relation to their human rights obligations under the Covenant. How does the Delegation explain the compatibility with the Covenant of a state of affairs that allows private schools, which have a near monopoly in Ireland on a vital public service, to openly discriminate in admission policies between children on the basis of their parents’ religious convictions? The Religious Integrated Curriculum in Irish schools operates beyond the confines of religion classes, and it is impossible to opt out of it. The Irish State did not respond to this legal question from the UN Human Rights Committee and consequently the Committee can only guess why our Republic continues to deny minorities their human rights in the education system. The Irish State is legally obliged to provide a neutral studying environment if it continues to ‘provide for’ the education of minorities in denominational schools. They are also legally obliged to ensure that there is no religious discrimination in access to schools. Claiming that denominational schools are inclusive, while they still discriminate in access on religious grounds, and operate a religious integrated curriculum is absolute nonsense because it breaches human rights law (the right to freedom of conscience and the right to be free from discrimination). The Report from the Forum on Patronage and Pluralism recommended that as a first step, Rule 68 be removed and the Irish Human Rights Commission has recommended that the Education Act 1998 be amended to ensure that the curriculum is delivered in an objective, critical and pluralistic manner. To date Rule 68 has not been removed and there are no plans to amend the Education Act 1998, to ensure that the curriculum is delivered in an objective, critical and pluralistic manner. The Rules for National Schools were revised in 1965 and Rule 68 was added. From 1831 to 1965 the Rules separated religious and secular instruction and there were no complaints that the majority religion were denied their rights. You will find here a history of Rule 68 and the issues surrounding it. This is part of the Constitutional Review Group Report in 1995. The right to an education in a neutral and objective manner is an absolute right, not to be balanced against the rights of others, or one that can be gradually achieved. This is part of the right to education. Denying access to a neutral and objective education in schools, by claiming that a majority of parents in a particular area want a particular type of education for their children, is a breach of human rights. “It is also our understanding that there are no current plans to create non-denominational schools by way of transfer of control in those areas where it has been deemed, following the recommendations of the Forum on Patronage and Pluralism in the Primary sector, that there is no sufficient demand for such education. Could you please explain to the the Committee how the notion of insufficient demand would not justify the establishment of non-denominational primary schools? So the UN Human Rights Committee rejects the idea of parental preference surveys as a justification for not providing non-denominational schools. This fits in with the UN Human Rights Committee’s firm statement to Ireland on the question of abortion law, that majority votes can not be used to justify the denial of human rights. The parental survey approach is a local manifestation of the ‘majority rule’ denial of human rights that the UN rejects. The proposed new Education (Admissions to School) Bill 2014 will not guarantee minorities their human rights and they will continue to leave their human rights at the school gate. Despite the recommendations from the Forum on Patronage and Pluralism, the Irish Human Rights Commission and the obligations of the State under the ICCPR this government still have not removed Rule 68 and Section 7 3 (c) of the Equal Status Act. “How does the Delegation explain the compatibility with the Covenant of a state of affairs that allows private schools, which have a near monopoly in Ireland on a vital public service, to openly discriminate in admission policies between children on the basis of their parents’ religious convictions? It would be good to hear some TD in our Republic ask the Minister for Education & Skills to answer the questions from the UN Human Rights Committee. We have a right to know this government’s theory on why they insist on denying minorities their human rights in a Republic. I wrote to the dept. of education asking them for the name of a non-denominational school in my area and was told that homeschooling was my only option. So I pay tax and yet have to school my children at my own expense. The arrogance of the Irish school system! !